Price transparency is complicated in health care. Listen: There's some disagreement over transparency in health care. As part of our PriceCheck project, we’ve been spending a lot of time talking to people about what they picture when it comes to transparency. Below, you’ll find some of their thoughts. And if you want to contribute your billing information to our crowd-sourced health-care price project, check out the PriceCheck tool at the bottom of the page. Boy, that's a big question. It's almost too big to really give a specific answer on it, so let's talk about just a bit—acute-care hospital services to begin with. I think when people are in a health crisis what they want is to know that they are going to be treated in a place that is safe and that provides effective care that is as patient-friendly or patient-centered as possible. And in a true crisis, the last thing people are concerned about are costs—and that's probably appropriate. But when one does have a chance to research—say if it's not a life-threatening situation or it's an elective situation—then what you want is information that can help you begin to narrow down where the choices are. And what are the relative value of those services. Those are the kind of things that you want to know about to begin to ask the right questions. And I think that's really the best we can do at this point. And that alone would be very useful if it's in one place where people can get ready access to it. True transparency would be the simplest thing in the world, and to me it’s the most obvious thing in the world: All providers have to state their prices and charge everyone that price. Same as gas stations, same as delicatessens, same as a department store. If you went into a department store and three people in front of you were being charged $19 for a shirt and when you got to the cash register they charged you $199 for the exact same thing, everybody would recognize that’s absurd. And all kinds of consumer protection organizations would help you. But that happens every single day in hospitals. Even the most basic way of presenting information to consumers doesn't really tell them what they need because they're not going to know the services that they're going to need when they go into a doctor's office, or a hospital or whatnot. So I think the starting point is going to be educating consumers on how to ask the right questions. Transparency begins with educating the consumer. I think that employers are starting to pick up on that. Premiums and the cost of insurance are going up and up and up every year. 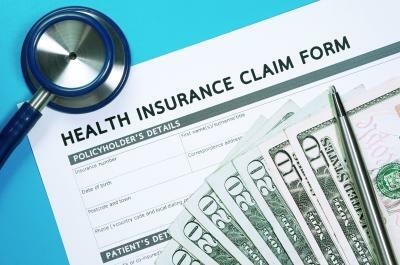 We're starting to see that the employers are doing a lot more to educate consumers and to manage the claims, and make sure to keep people out of emergency rooms. If you need imaging stuff, go to a lower-cost facility. And employers are starting to do that, but it tends to be the bigger, more sophisticated employers. Chronic diseases--like diabetes, obesity, heart disease and some cancers--are the leading cause of death across the country. They disproportionately affect many minorities and people living in poverty. This month, Florida is getting a chapter of the Partnership to Fight Chronic Disease. The non-partisan group brings together medical organizations, government agencies, the private sector, health care agencies and others to raise awareness and come up with policies to fight chronic diseases. Florida hospitals continue to have some of the highest Caesarean delivery rates in the country, according to a new analysis out from Consumer Reports. “People might find differences in nearby hospitals, so they really have to look at a map and at the rates and see what stories the numbers are telling,” said Doris Peter, director of the Consumer Reports Health Ratings Center.